Watch out! This Eagle Ray almost rammed me. 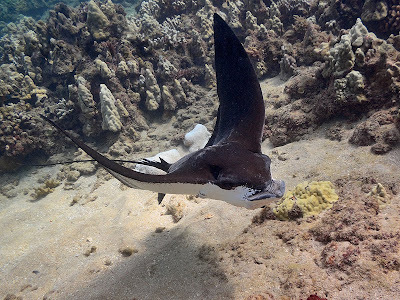 Looks like one tough Eagle Ray. I never knew they came in different flavors. I prefer spotted.